He has covered me in the robe of righteousness. and as a brie adorns herself with jewels. For as the earth brings forth its sprouts. to sprout up before all nations. Oh, how He has loved us! Merry Christmas, from our family to yours! Tears! Such transformed lives and hearts--they just radiate love! 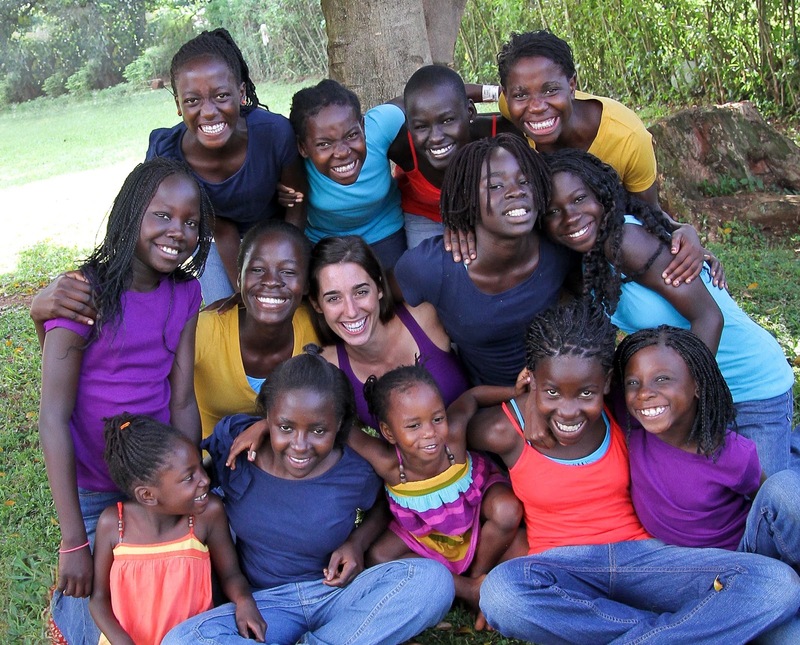 Merry Christmas to "Katie in Uganda" that we pray for everyday. And Merry Christmas to your beautiful girls! What a beautiful photo of you and your girls! Merry Christmas from Arkansas! what a gorgeous family, katie. you are so loved--by the Give of all good things and by people from around the world. you are beautiful--from the inside out. I adore this family picture! Ya'll are a beautiful family!! Merry Christmas!! Ya'll are a beautiful family! Merry Christmas! I just bought your book for what I thought was going to be a Christmas present for my daughter but I opened it up and now I can't put it down. I just wanted to let you know how inspired I am by your story and wish you all a Merry Christmas. Merry Christmas to you and your family too Katie! May God richly bless you all this Christmas. precious. precious. precious. tears instantly after look at what a wonderful gift you are to all of these girls. i hope yalls christmas is blessed. Merry Christmas Katie! I am reading your book in the middle of the night in 10 degree Alaska and loving every word. So real and honest and good. God bless y ou and your beautiful family! What a gorgeous family :) God bless you! So Beautiful! May God Bless You All. Have a wonderful Christmas with your beautiful family. Oh, Katie. Your girls are BEAUTIFUL ... as is their mama. :) Merry Christmas. Your beautiful girls - God bless and Merry Christmas. they and you are so beautiful! when you posted pictures of them individually a few years ago, i printed them out and prayed for each one by name for a season. now i couldn't tell who's who! still, you all make a lovely family. merry Christmas! And a big Merry Christmas to you and your beautiful family from Judith & Roy McSwain in Maryville, TN. i just finished reading your book and i was so touched by it, you, and your family. God bless and i hope yall have a very wonderful Christmas!!!! My goodness. You and your daughters are absolutely beautiful, Katie. A very Merry Christmas to you all as well! Your family looks so beautiful and happy. Merry Christmas to you from Illinois:). What Beauty :) Happy Holidays. Absolutely beautiful! Praying for you guys! I love your book!!! It is awesome and very inspiring!!! My calling is to be a missionary and I would love to visit Rawanda, Africa. The work you are doing is amazing! I will be 16 years old in january. And I would love to go on a mission trip to an orphanage. Would you recomend any? You and your ministry (or the ministry you are in with our Wonderful God rather) have just been brought to my attention. My friend gave me your book for Christmas (I opened it early). You are in my prayers and I plan to put donations in the budget. Love to you sister...I live in middle Tennessee! 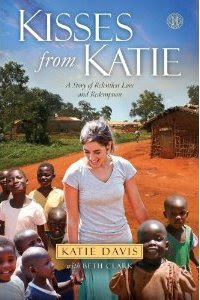 Katie, I just finished reading you book and I am so pleased to say I have more a yearning in my heart to reach out to those around me. I could not have picked up the book at any better time, it was as though every time I read you talked of something that spoke directly into my life right in that moment. I picked up my journal countless times throughout the book and it pushed me to face questions I am scared to face. But I loved reading and laughing and crying through your story and I did not want it to end. But your story didnt end, it just picks up in your blog and I love that. Thank you Katie for your faith and answering Gods call and doing all that you do for his kingdom. It has moved me and encouraged me to do more. Merry Christmas Katie to you and your beautiful girls! May God richly bless you! Just began reading your book last night. My friend gave it to me to read and I am so blessed and encouraged by your faith and strength in the Lord. I love you even though I do not know you and I am praying for you and the girls. I have 3 daughters of my own and I have already been encouraging them with your story. God bless you Katie and your gorgeous daughters! Merry Christmas and many blessings from our Lord in the coming year! You inspire me and so many other people all over the world. I gave your book to a young lady about 30 yrs old who has been here from Uganda for about 6 yrs. She too can't put your book down! She said it is all true...all the good and the not so good...it takes her back to her country as she reads. I sponsor 3 children in Uganda and am planning a trip this next year to visit them. I will be in Kawempe...I would love to try to visit you too...we will see how it all goes. God bless you all! And a very Merry Christmas to your household Katie. I love your blog and your book. The Lord is using you mightily in Africa and around the world! Just finished Kisses from Katie. Made me fall in love with Jesus even more. Thank you for being such a great example of Christ's love. Praying for ya'll! Merry Christmas! God bless you and keep you and your girls today, tomorrow and always. Merry Christmas! I see those bright smiles, and I am soooo blessed.... Smiles and braids. Braids like those on little girls take a Lot of time, and with those fully-alive bright eyes, I hear "I am loved" singing from this photo. Merry Christmas! Pray for you today. I just want to say that this is incredible...what God is doing in Uganda. I received your book from a friend for Christmas, and I can't put it down. In the back of my mind, I have known that there were starving children that needed love and Jesus, but now it has become reality. I have been interested in missions for a few years, and am really praying for the Lord to direct me. I know He wants me to do something, but I don't know what yet. I read about your life, and your children, and how it it bringing you closer to Jesus. Reading your story, I realize we Americans take so many things for granted. I have everything I need, and many things I do not need. I am only 15, though, otherwise I would hop on a plane! I am truly praying for you and all the beautiful children. Keep allowing the Lord to use you and work though you! Merry Christmas! I work in Tanzania Africa - and my heart to serve the least began many years ago - you inspire me on days when I am down - and certainly bring smiles on the days that are up. May you and your girls enjoy the holiday season. I just got your book for Christmas, and have not even read all of the first chapter, but already I see so much of myself in you. I would love to talk to you if you get the chance, but I know that you are very very busy! How awesome is The Lord most high!!! I received your book Kisses from Katie as a Christmas gift from my daughter-in-law, Sheryl. 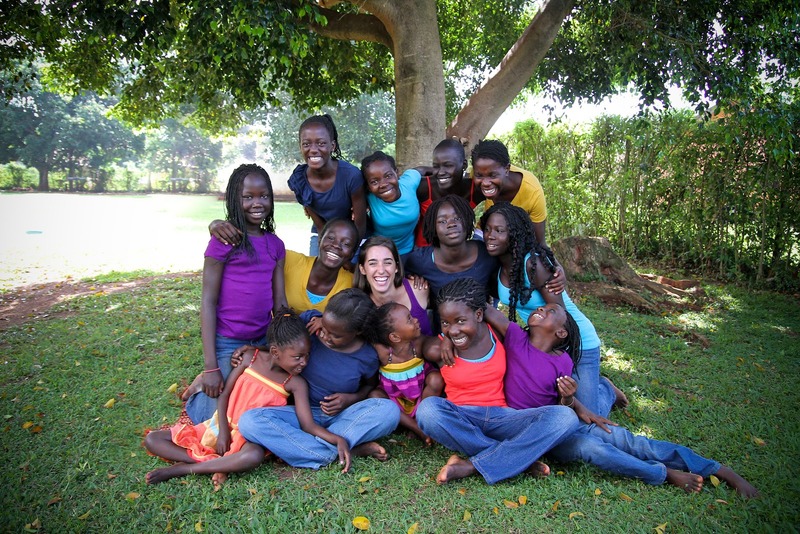 From the introduction, I am been amazed at your steadfast love for God and His children in Uganda. As I continue to read your story, I compare you to Mother Teresa. You are an Angel sent by God. What a truly wonderful mother you are to your beautiful children. Your girls are growing so fast! Wishing you and your family a very Merry Christmas! what a beautiful, God knitted family! I see heart bursting joy in each smile and Gods marvelous love radiating from you all!! Praying for you Katie and praising the Lord for how he is working miracles and giving hope through you! Joy to the world-the Lord has come!!!!! Merry Christmas! I just finished your book and I loved it. Blessings to you and your family in this Christmas season and Happy New Year! Just beautiful, Katie and daughters! Do you realize how much and how many you bless? May God continue to use you all for His glory. MERRY CHRISTMAS AND A HAPPY NEW YEAR. Katie, you are all beautiful! Your girls radiate the love of Jesus, it's just oozing out of them and their gorgeous smiles! Happy New Year! Hey Katie, I recently read your memoir based on several recommendations. You are truly an inspiring person. Your family is beautiful! I've finished your book. Jesus is real! What gifts He has given you. How wonderful that He enables you to share how Jesus lives in & through the humble human vessel. You have such a beautiful heart. You are such a inspiration to me. Your heart is always wanting to serve jesus, even when things get wild. Me and my two other friends ( and our moms ) started a bible study with the 6 of us. We have been reading your book, and it's inspired all of us that it's so important to seek out God. To listen to his calling. And to make him our first priority. I pray that the Lord blesses you and your sweet girls. Me and a group of girls ( and our moms) started a bible study. And we have been reading your book ''Kisses from Katie'' and i have to say. You have such a beautiful heart, always wanting to serve God. Making him your priority . Thank you for being such an amazing example . May the Lord bless you and Keep you. May his face shine apon you, may you remain in him forever and for always . I pray that the Lord will bless you, and your very sweet girls. Katie, Thanks for being you and letting the Lord using you and sharing your journey right here so that we can come along with you...my children and I read your posts together and we talk about your choices and how you are choosing God's way...they are challenged by the way you are living your life so that they may better live their lives! Thanks so much. When I look at the faces of these beautiful, strong young women the first thing that comes to my mind is that every one of them will be a world changer (and they already are) because of Jesus in them, and because of their mom's example of living the Gospel. If the only thing you ever did was love your daughters and raise them to know Jesus that would be amazing, and yet, with God's grace, love and help you do so much more. Thank you, Lord! Hi Katie! I just finished your book. It made me laugh and cry.It encouraged and challenged me also. Thank you for being a shining exmaple of Christ!!!!! I hope your week is a great on. I just finished reading your book. I've never cried so much through a book in my entire life. Next to God's word, your book is next in line for the most transformative, life-altering book I've ever read. Truly, my life is changed, because of you...because of Jesus. Thank you for being a servant that has said "yes." Now, we and so many others are saying, "yes." I talk about "Katie Davis" like we're long lost friends, but we're better than that....we are sisters in Christ. :o) I look forward to meeting you one day in heaven. Until then, I am on the other side of the globe, praying for you. beautiful girls and a beautiful momma! Love all the smiles :) I love your book, when I read it, I feel like I'm on the other side of the world, right there with you all! I hope to meet you someday, and your beautiful daughters! You have such a beautiful family! God bless you. Words cannot tell how happy I am to be able to make direct contact with you! I loved your book and so hope to meet you someday! may God bless you and yours and your family is gorgeos!!!!!!!!!!!!! Although you don't know me, I pray for you all the time... your book is an encouragement to me to go out, no matter how hard it may be. I can't wait to meet you and your girls someday, whether that be on earth or in heaven! Until then, Katie, I'm praying for you. Hi Katie, I opened your book and fell in love with the picture of the three sisters in the middle. Of course, I loved your book, too! After been in Haiti for a short term mission trip, I wanted to paint the road to Hinche. The other two paintings I did from some rough sketches I did while on our bus on the highway. But I just had to use the pic of the three sisters, altered for a Haiti representation, for one of the three. I now seek permission as I love the picture and what it says. I blogged about it too. Before I enter it in the Artist Mag contest, I wanted to seek permission to use it as reference. I did not copy the photo. I used it as reference, as us artists often do. I'm so it love with it and all you do! God's abundant blessing and even more love to you! Your daughters are so beautiful! Your book made me change my life. Kisses from Brazil! Your daughters are so beautiful! Your book changed my life. Thank you for making me see the world with another eyes! Kisses from Brazil! Not sure where to post this, but I recently compiled a list of single foster and adoption blogs on my blog. From the comments, I realized I wanted to do more to connect people who've decided to jump into the deep end of fostering and adopting without a partner. This (http://bit.ly/116zRxt) is my attempt to do that. So, my hope for this blog is to be so much more than a blog, I want it to become a large support network for single Mamma's and Daddies all over the place. May God continue to bless this sweet family!!! I have read your blog regarding kids mats, As you had right wonderful article, and this is very interesting. What beautiful gifts God has BLESSED you with. Your book has forever opened my eyes to true unconditional love that only God through Jesus can give. You have such a beautiful family, Katie. Thank you for sharing the pictures of your gorgeous daughters with us. Give each of them a kiss and a hug for me. Patricia has gotten so big!!! All of them have! So big and beautiful! What a sweet family! I have just read your book and I was captivated by it and couldn't put it down. thank you for all the work you do, even if we never realize people around the globe are suffering. Your book was so inspiring and encouraging as a Christian.